Picture 14B-11. 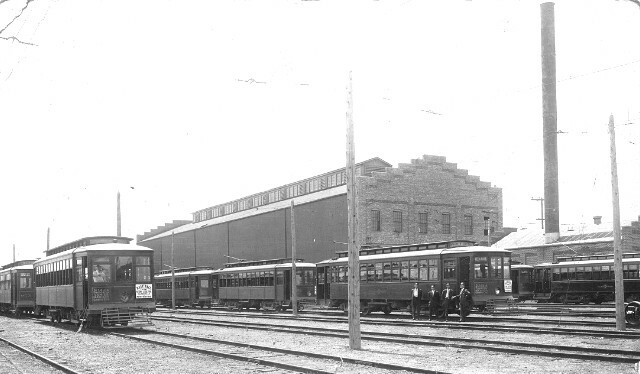 The McKinley Bridge carried interurban cars across the Mississippi at St. Louis, and it also carried local commuter traffic between the east and west banks. The American Car Co. in 1909 provided motor cars 900-919 and trailer cars 950-959 for this service. They were housed at the Granite City Shops, as shown here.